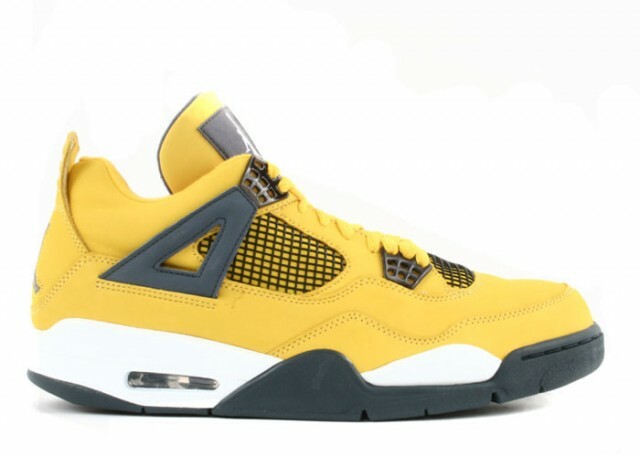 This Air Jordan 4 colorway was released back in 2006 as part of the Air Jordan 4 pack with the Thunder make up. Sporting a primarily Tour Yellow upper with nubuck construction, Grey / Dark Blue accents are applied on the wings, netting, tongue, and outsole. White is applied onto the Jumpman and midsole to finish off this color way.